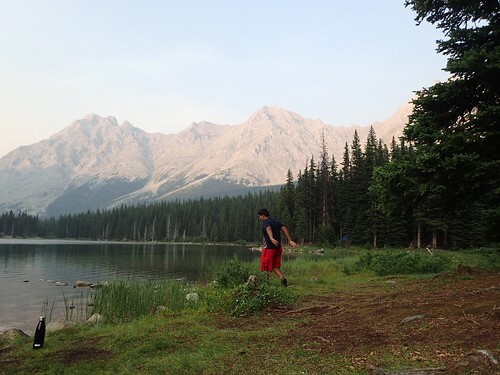 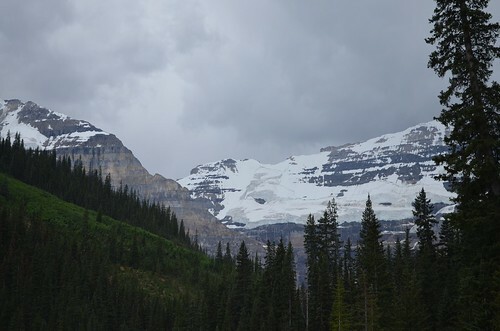 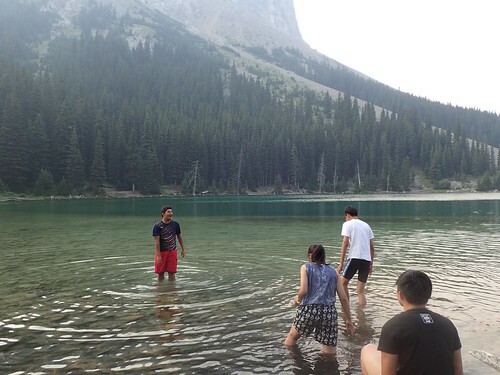 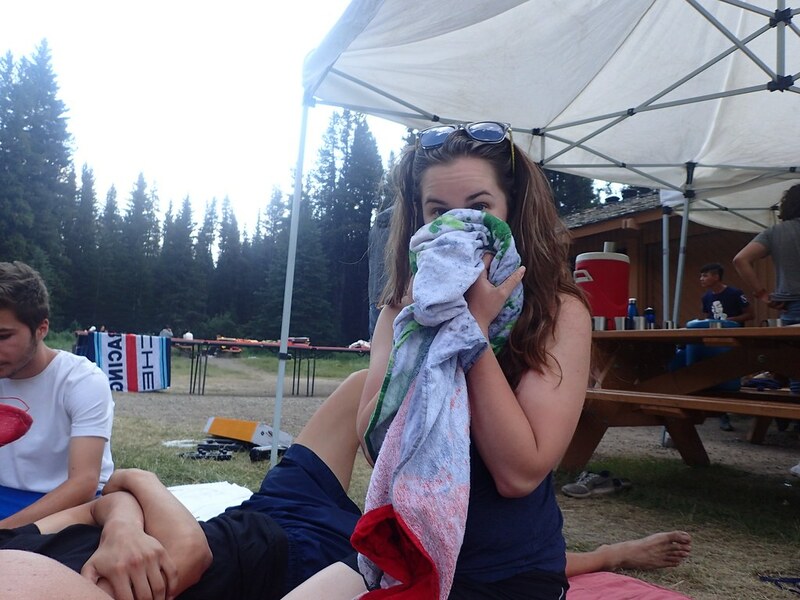 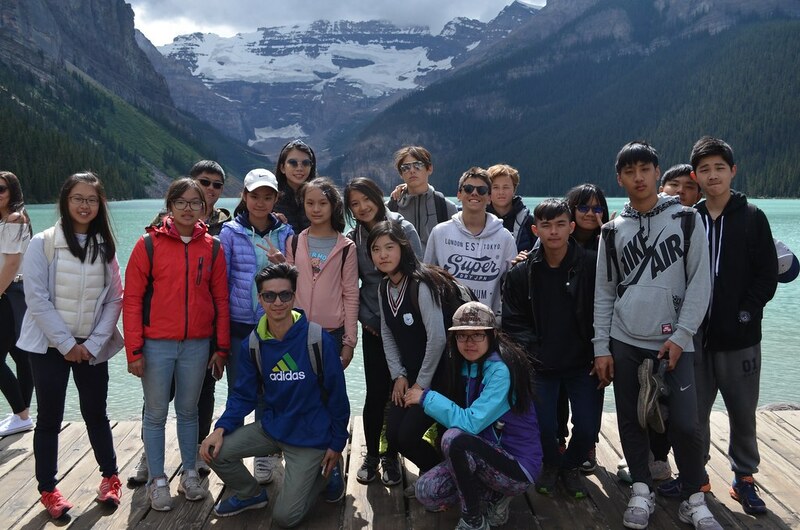 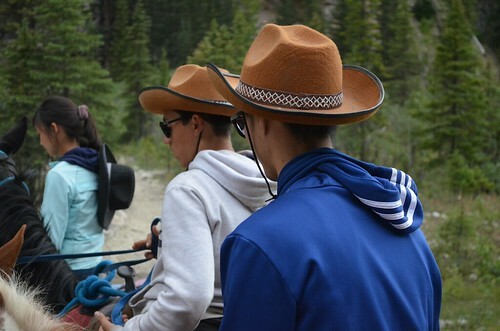 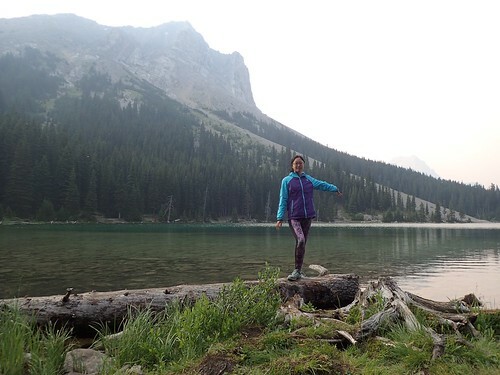 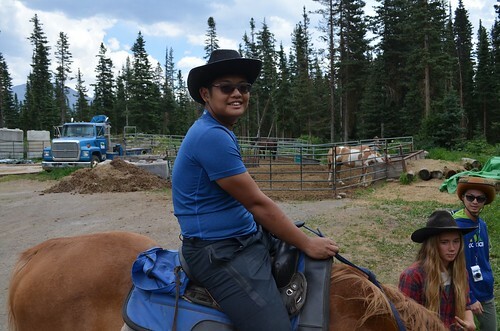 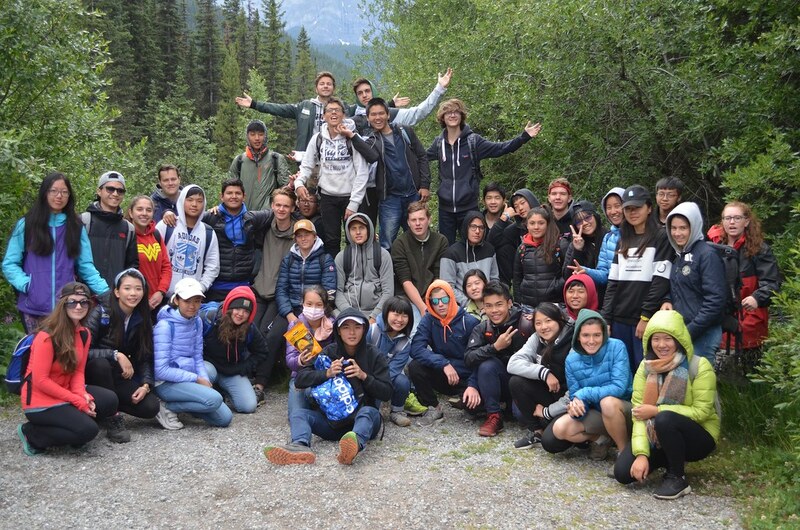 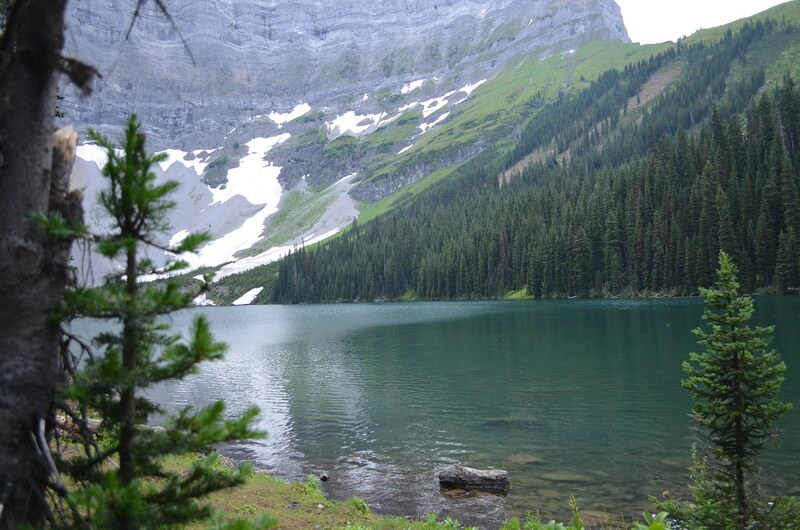 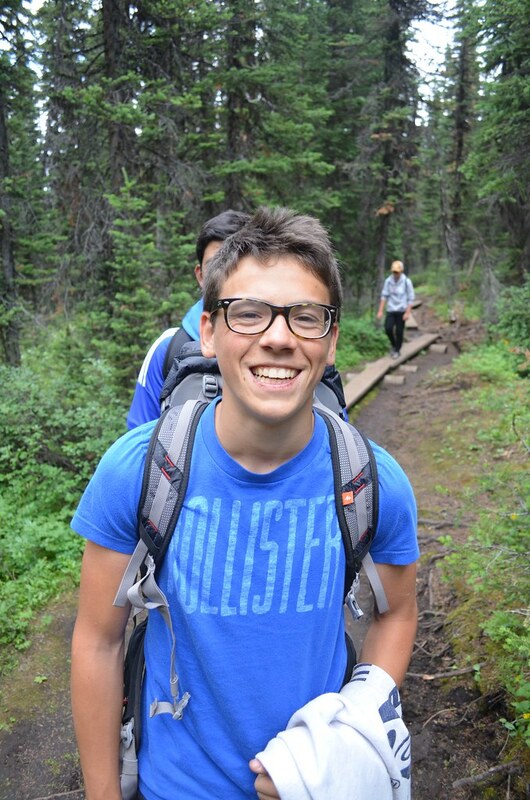 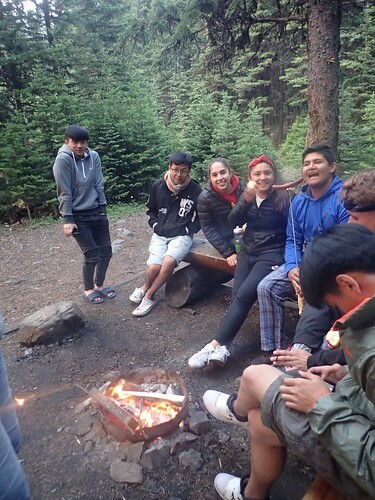 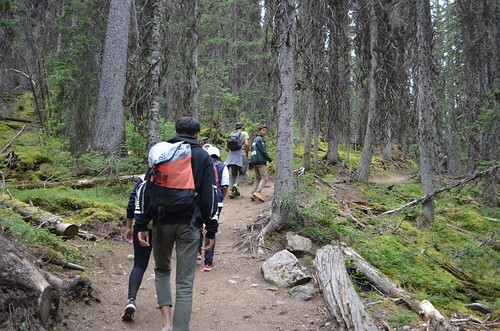 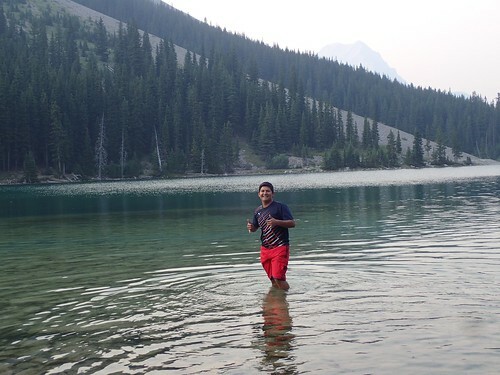 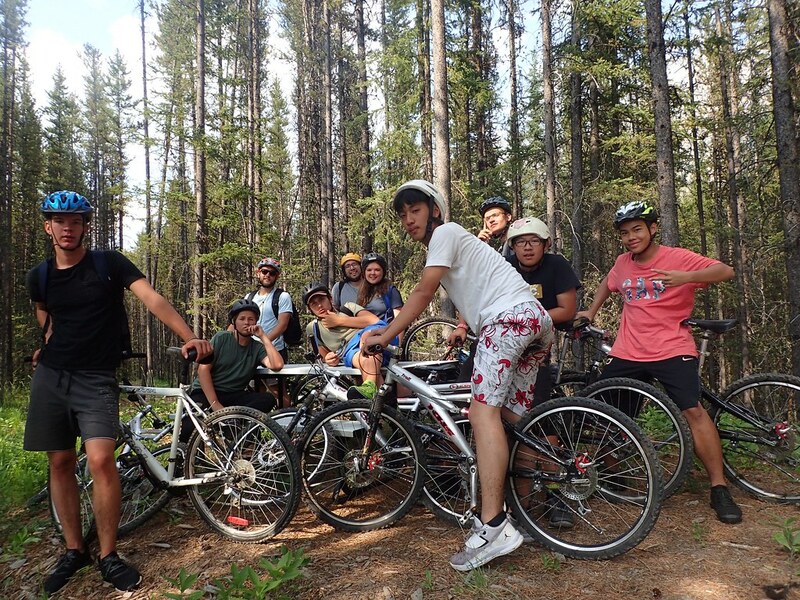 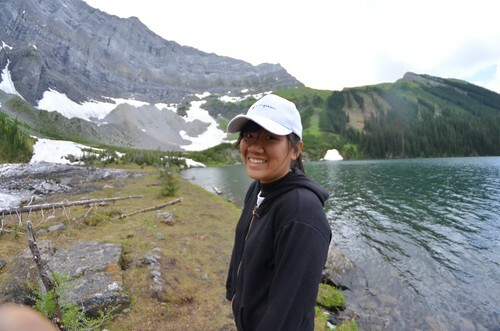 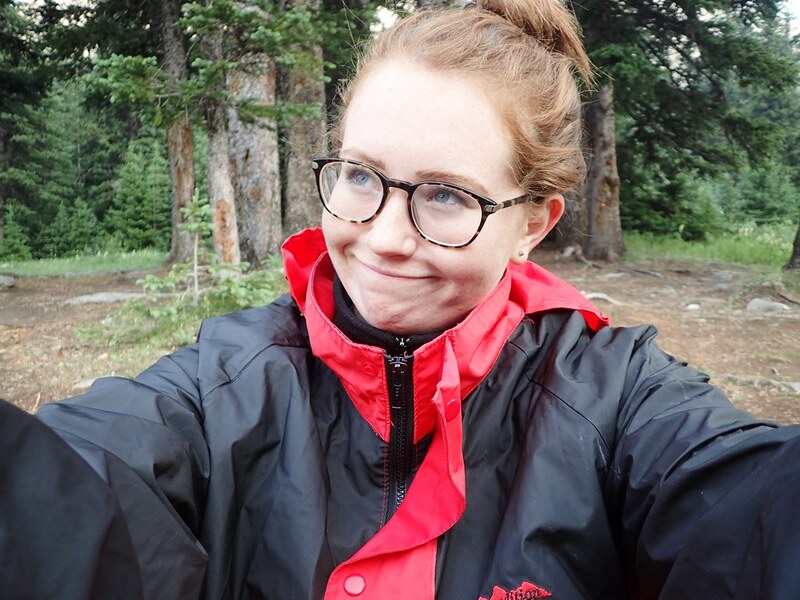 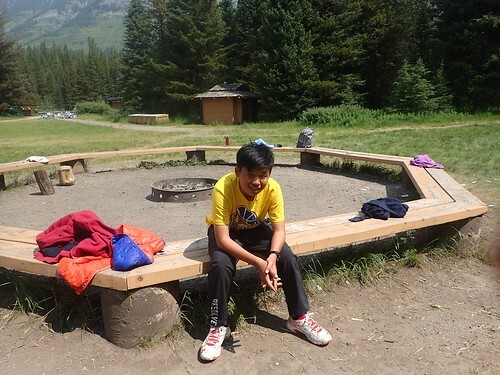 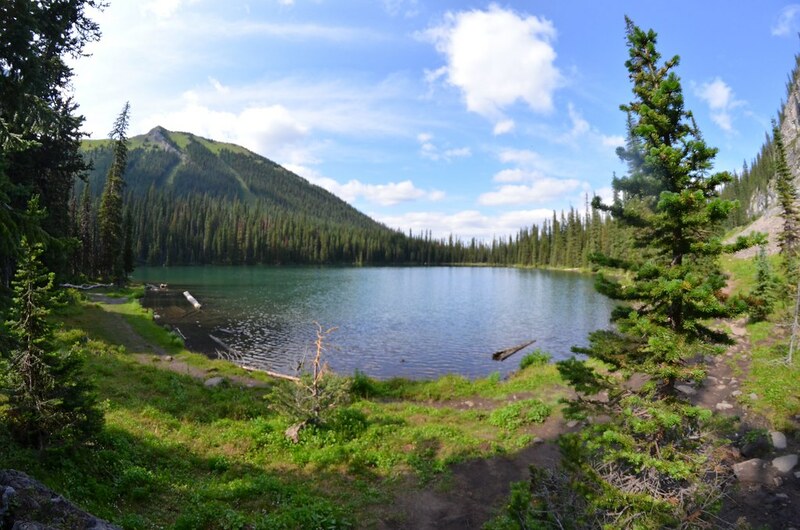 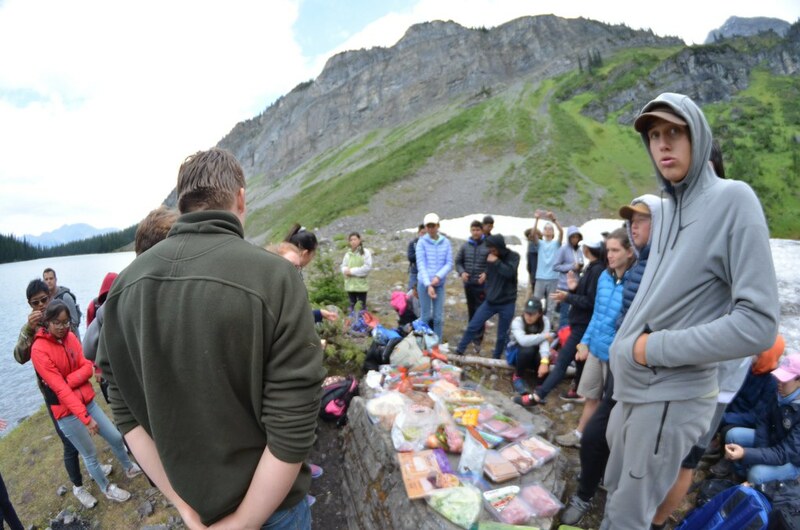 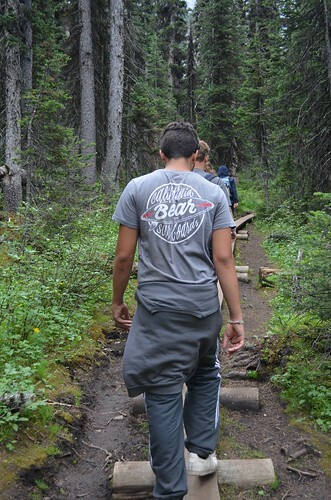 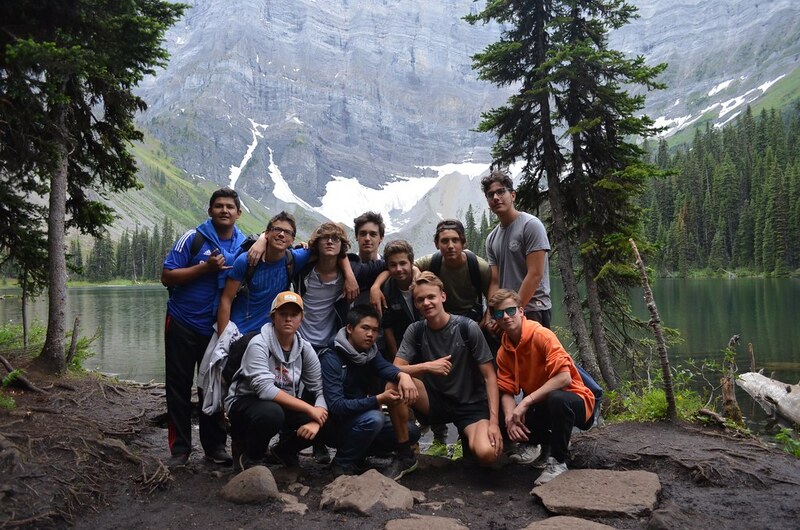 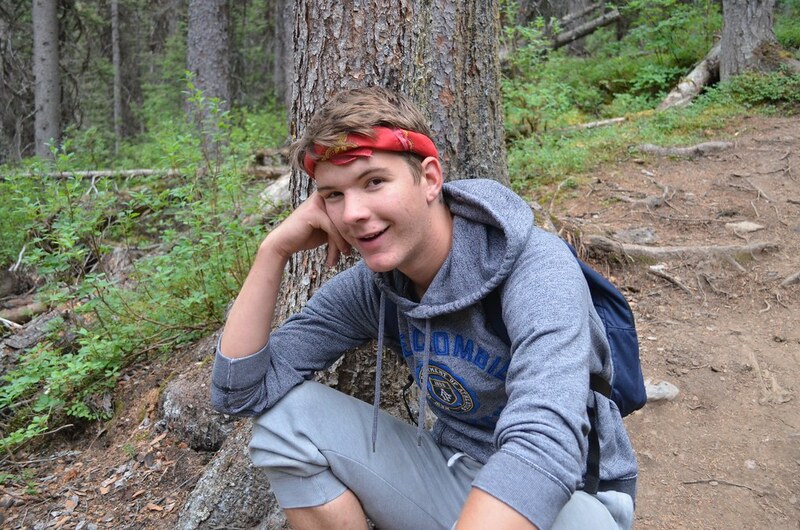 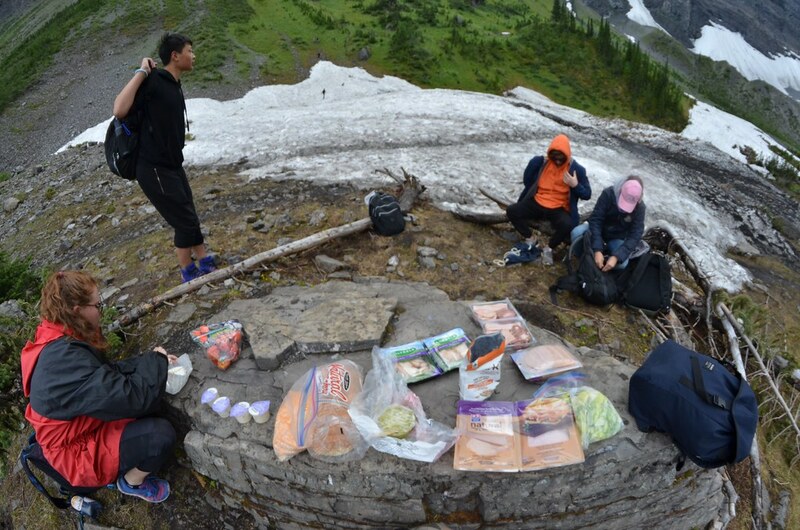 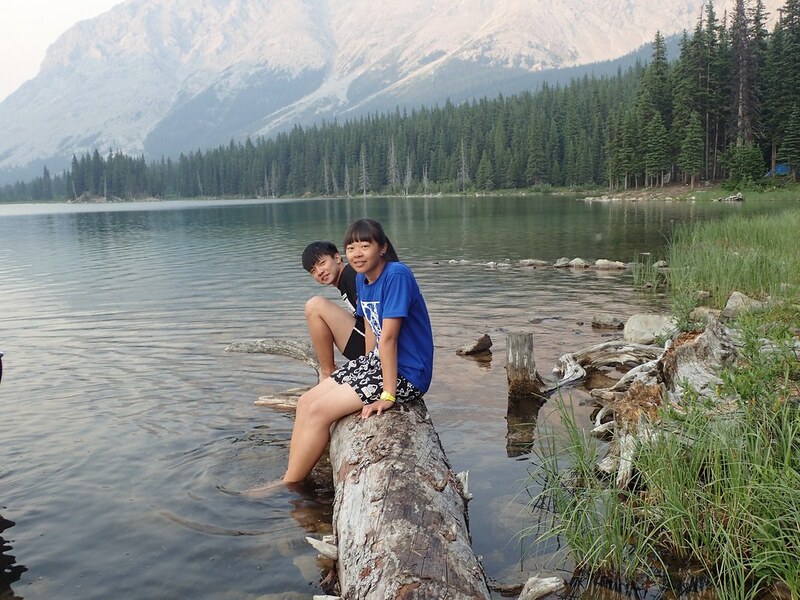 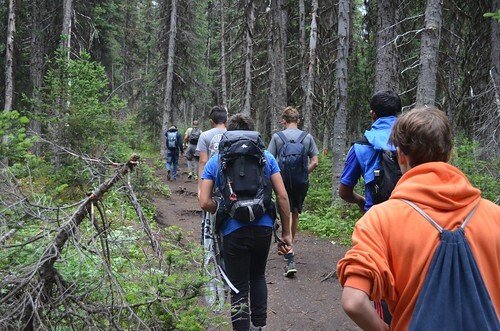 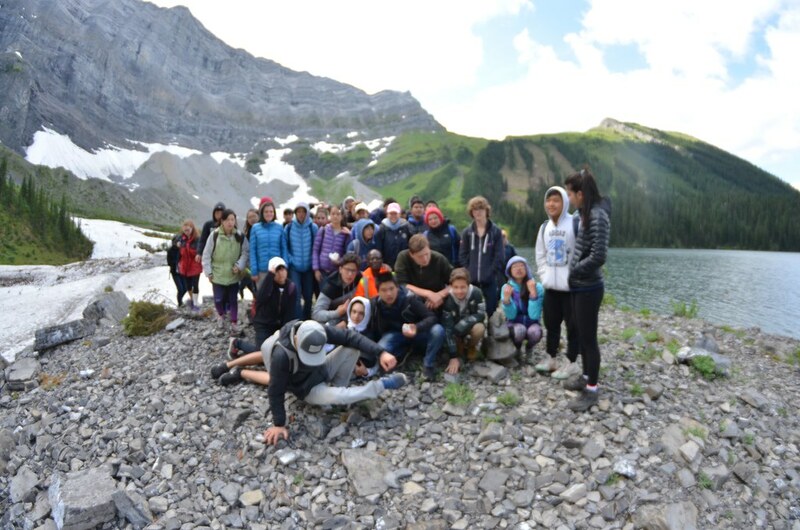 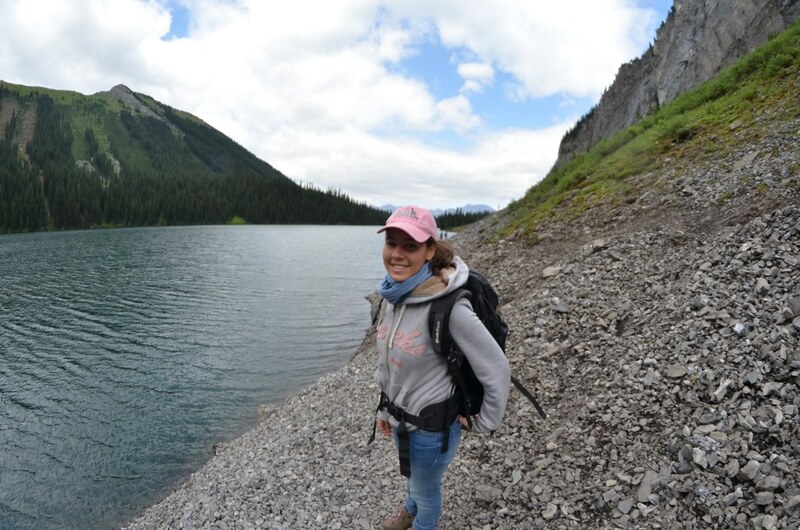 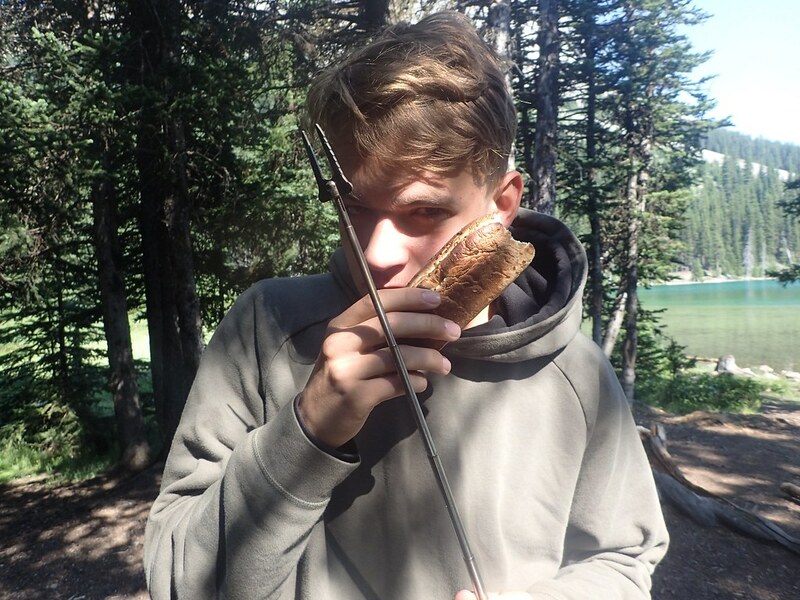 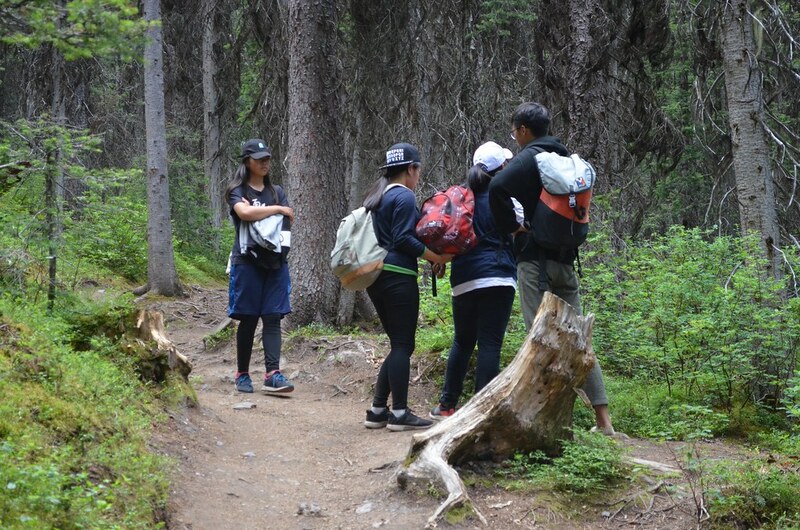 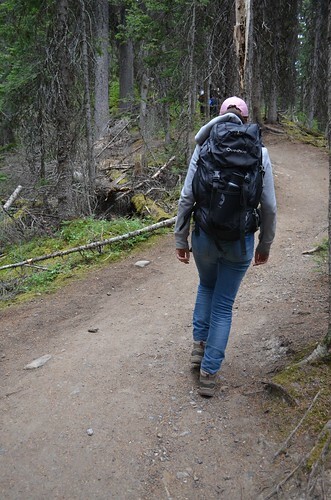 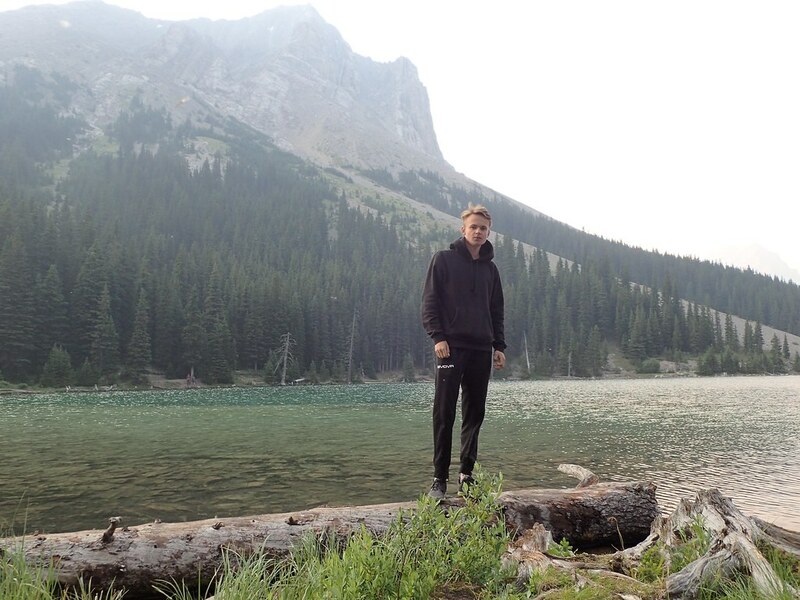 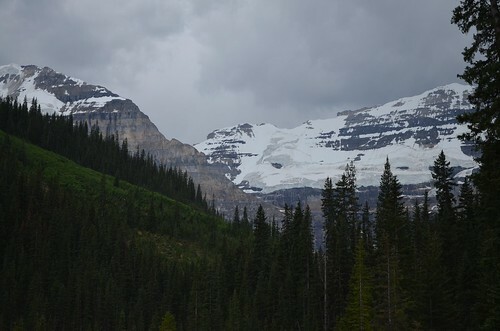 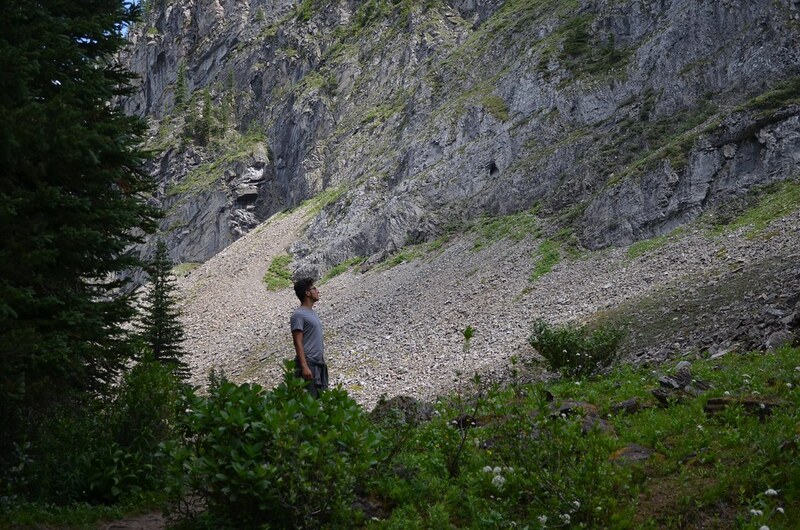 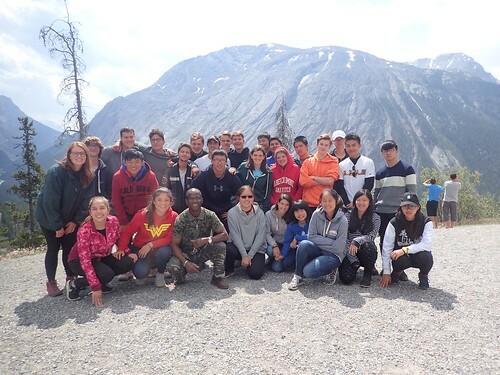 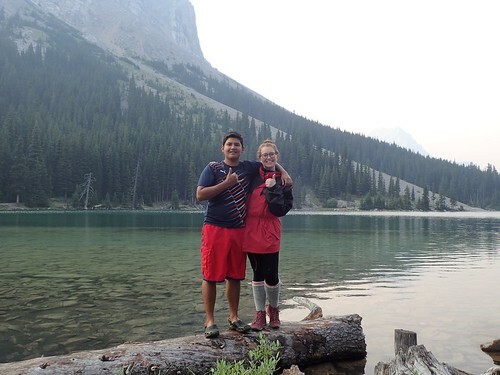 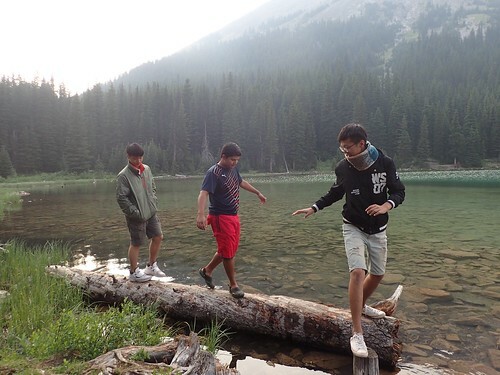 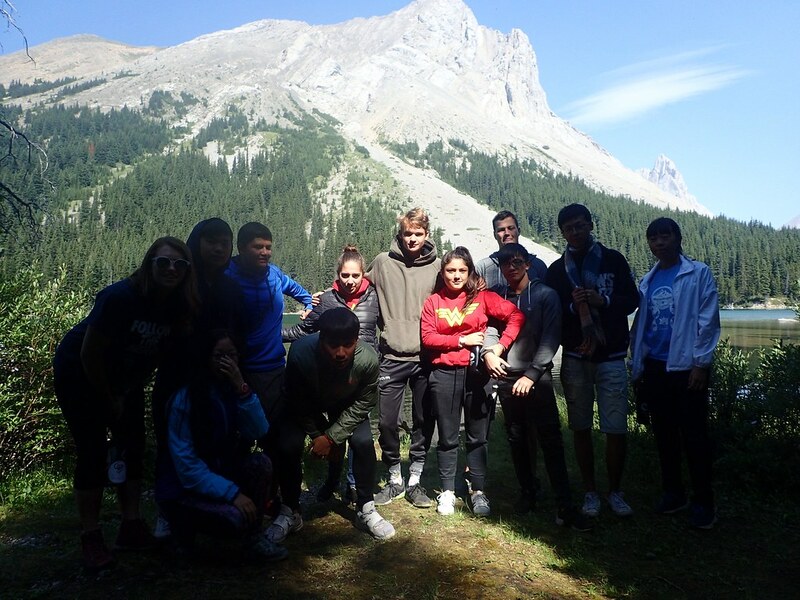 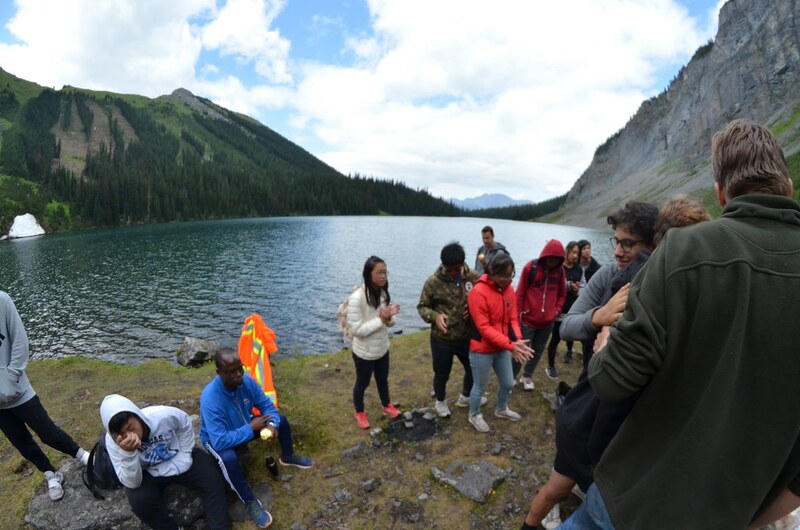 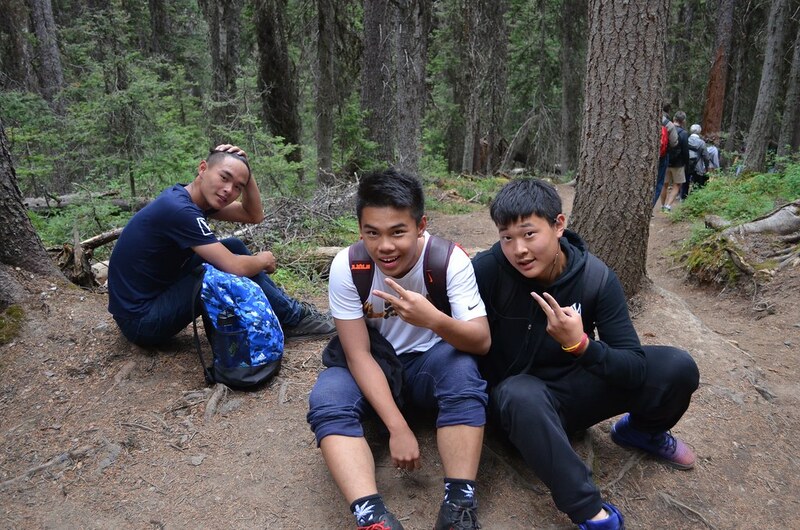 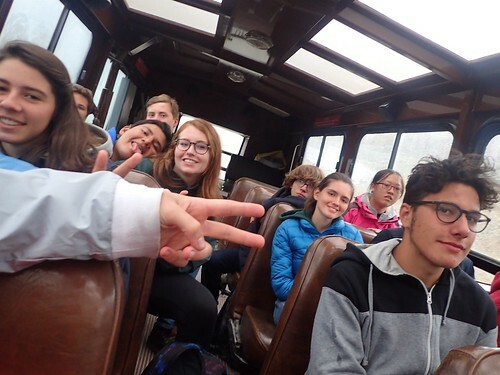 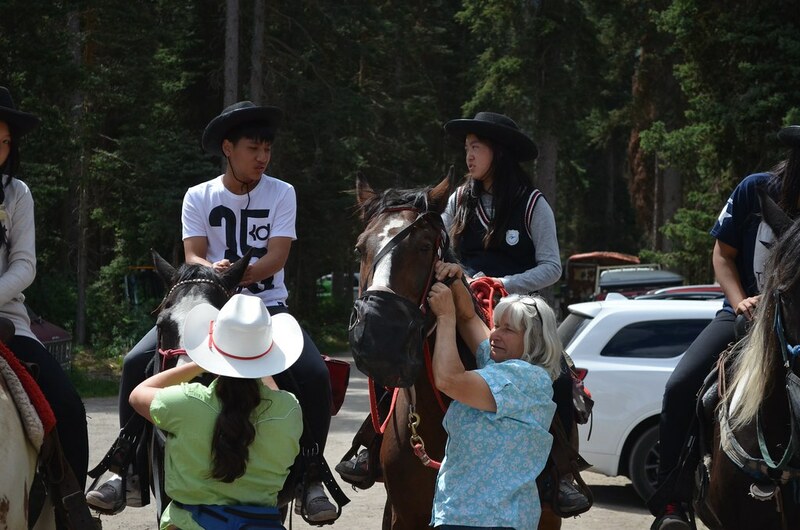 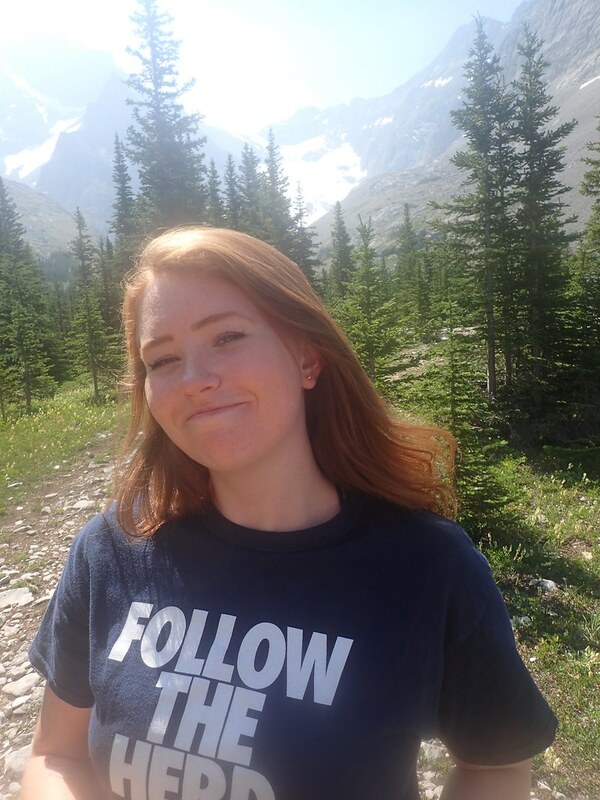 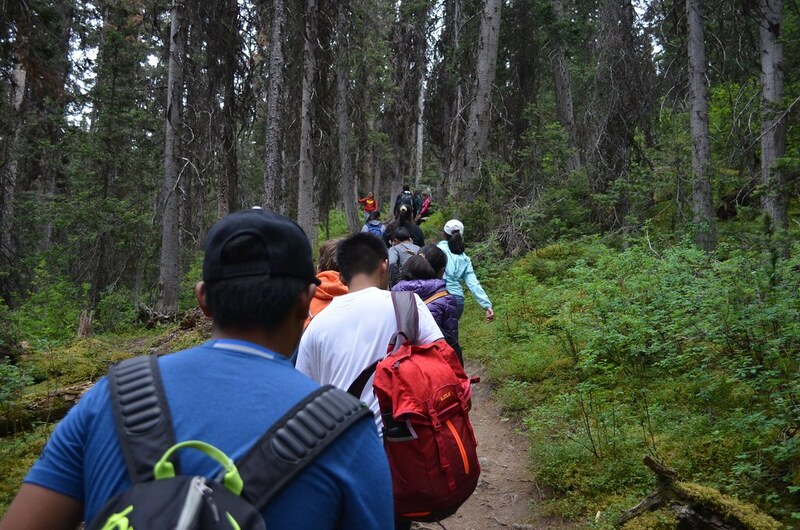 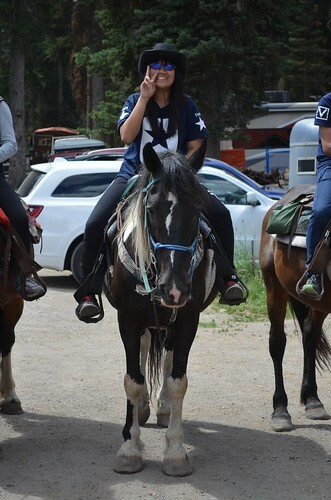 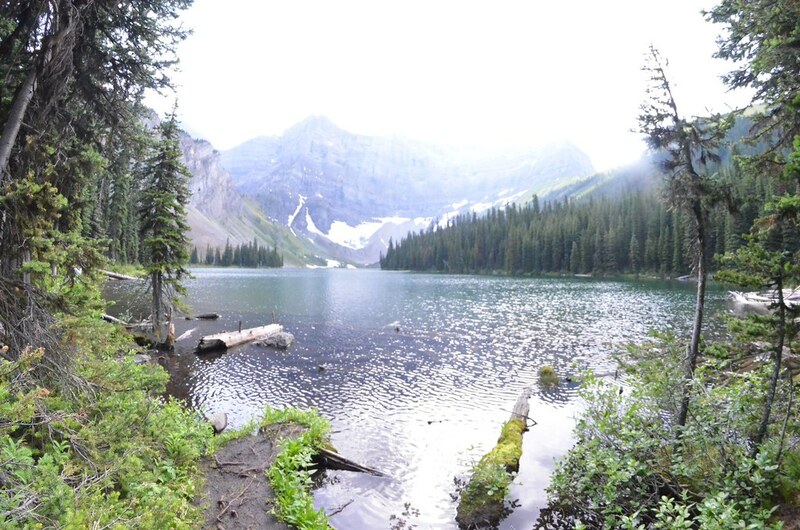 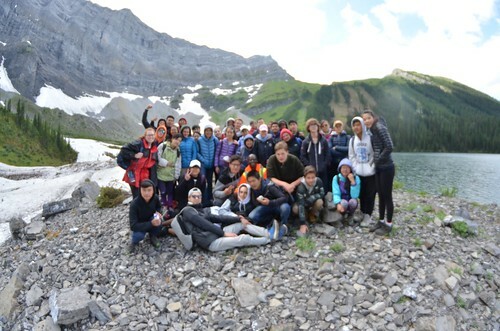 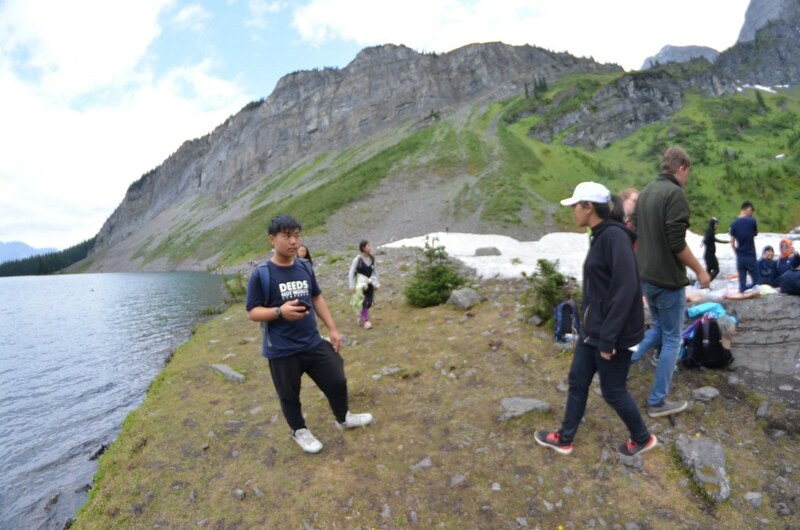 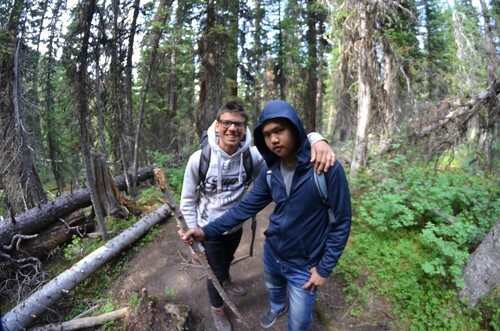 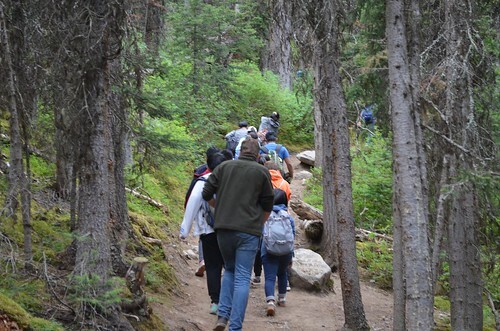 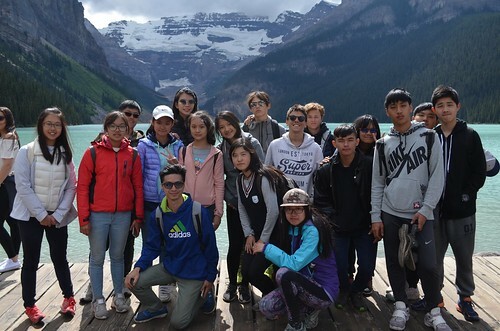 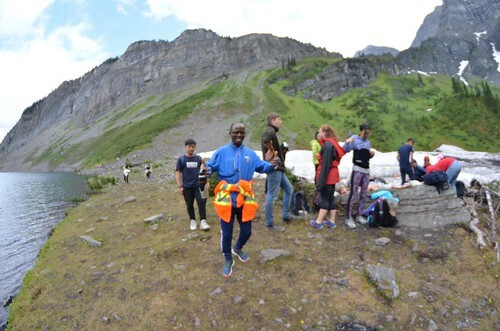 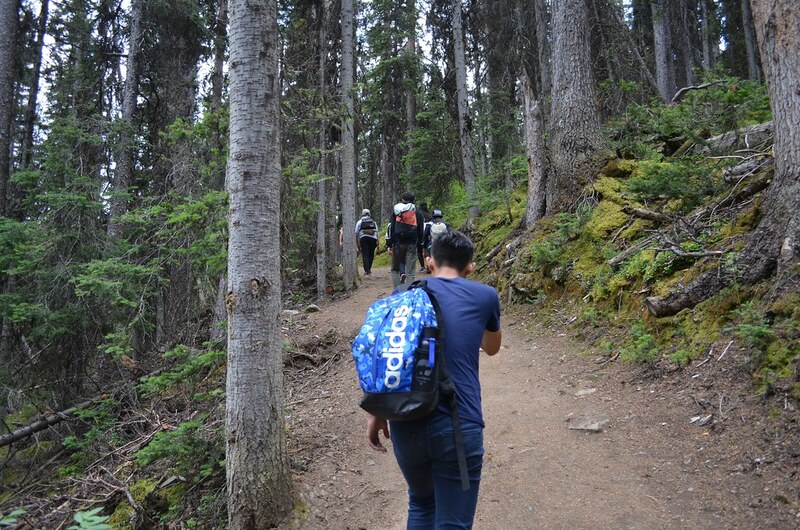 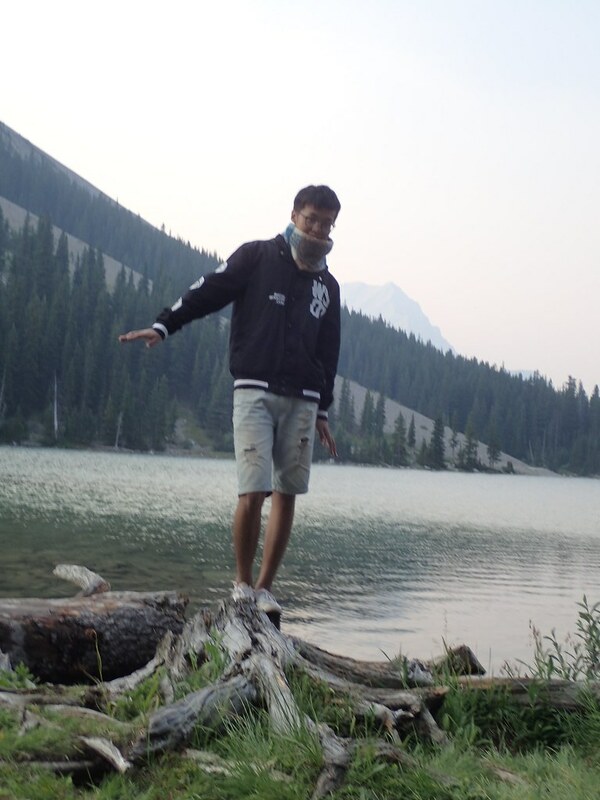 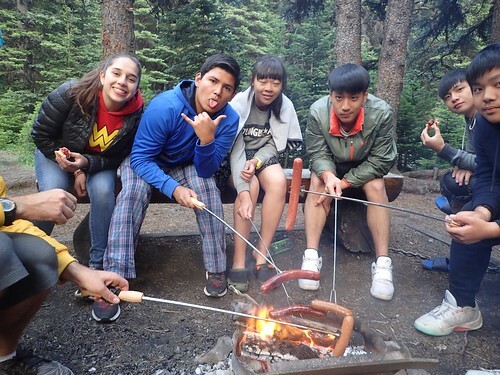 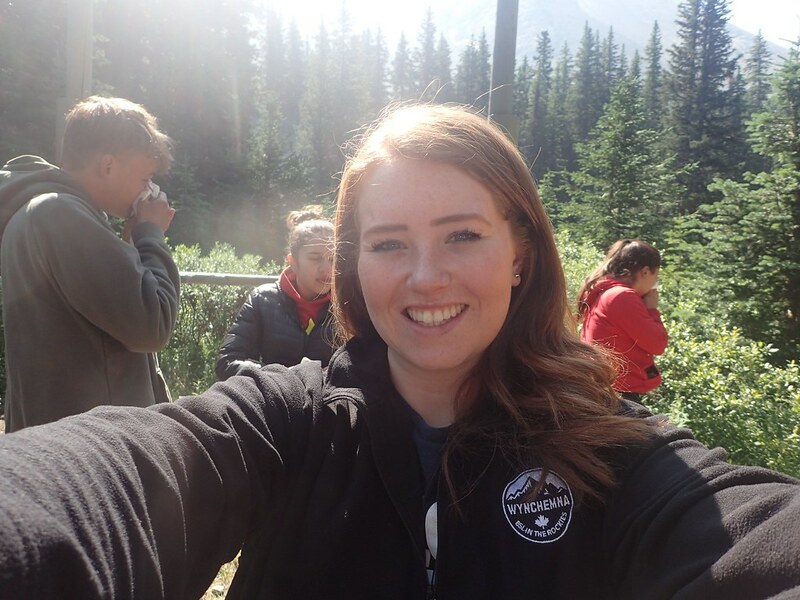 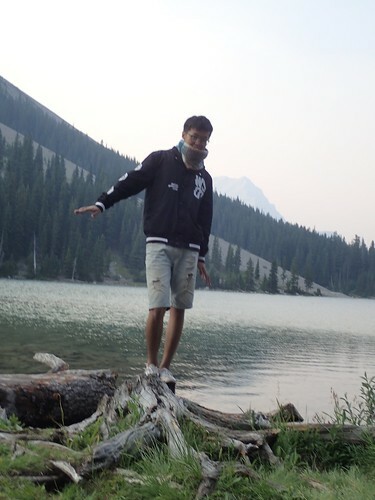 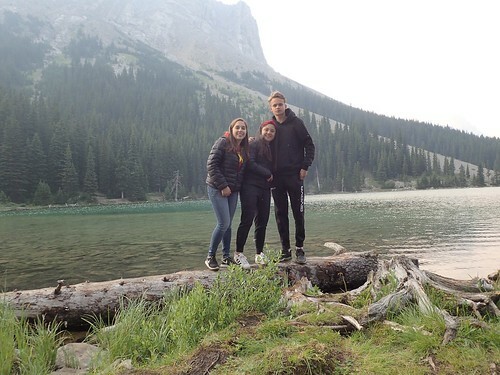 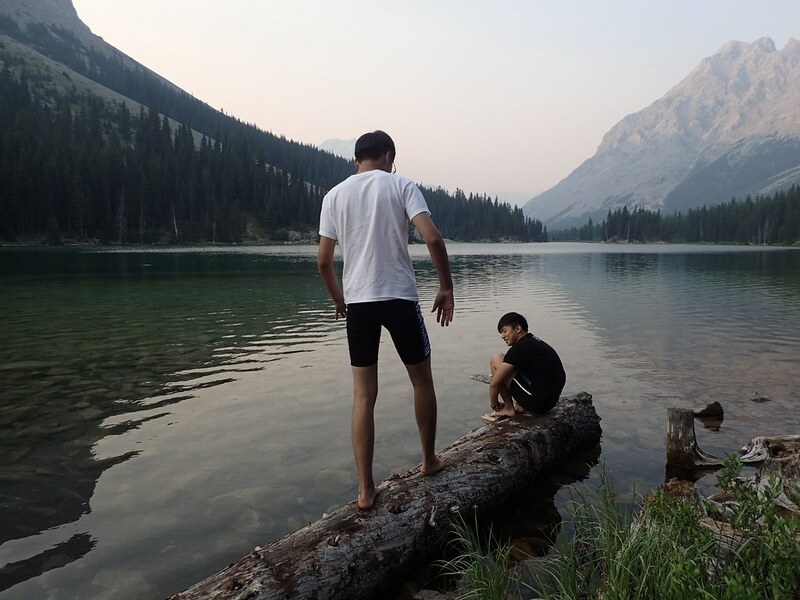 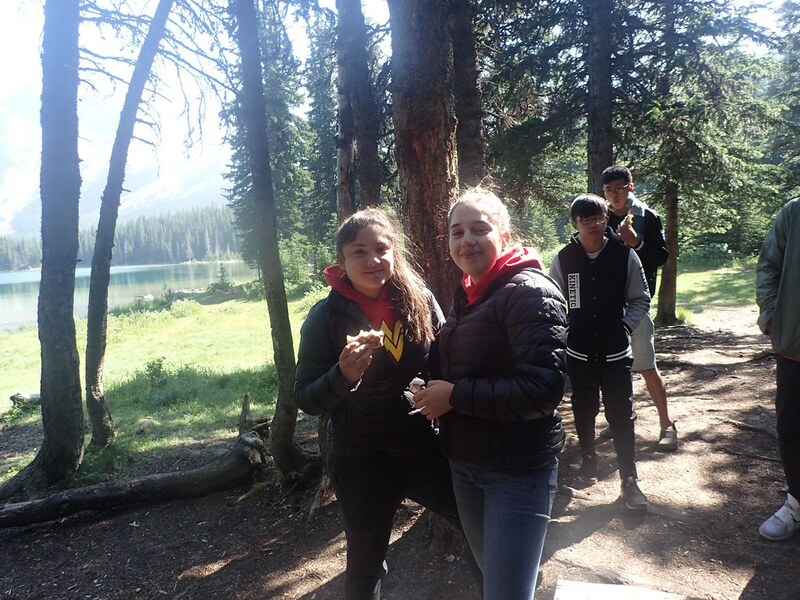 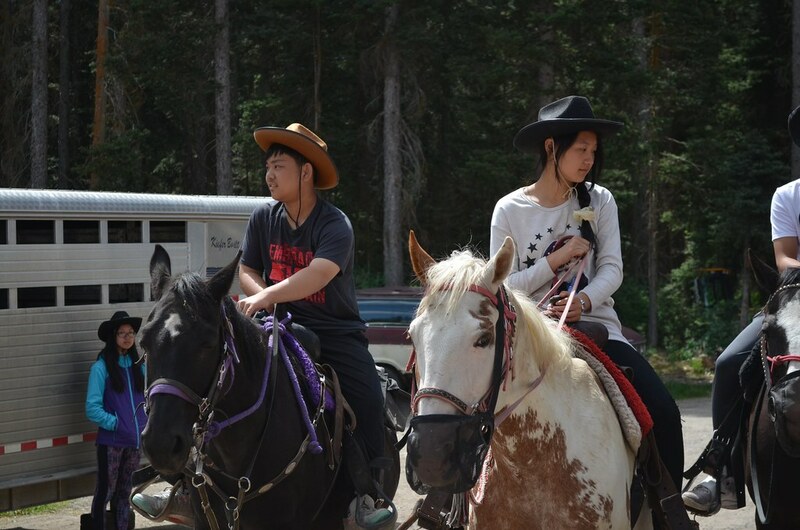 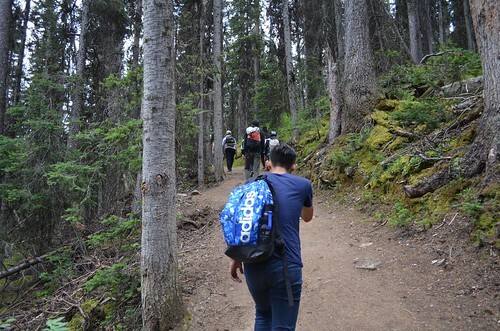 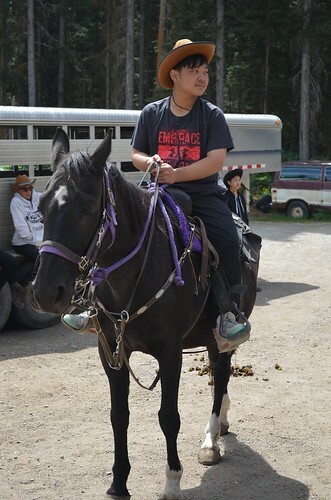 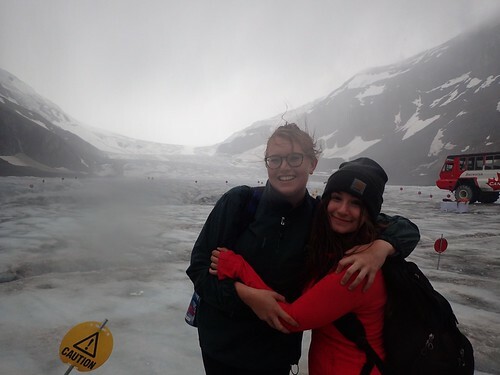 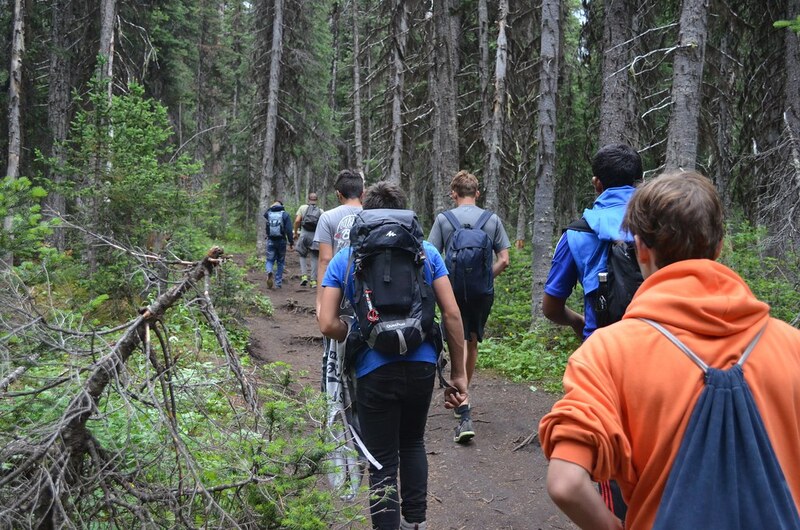 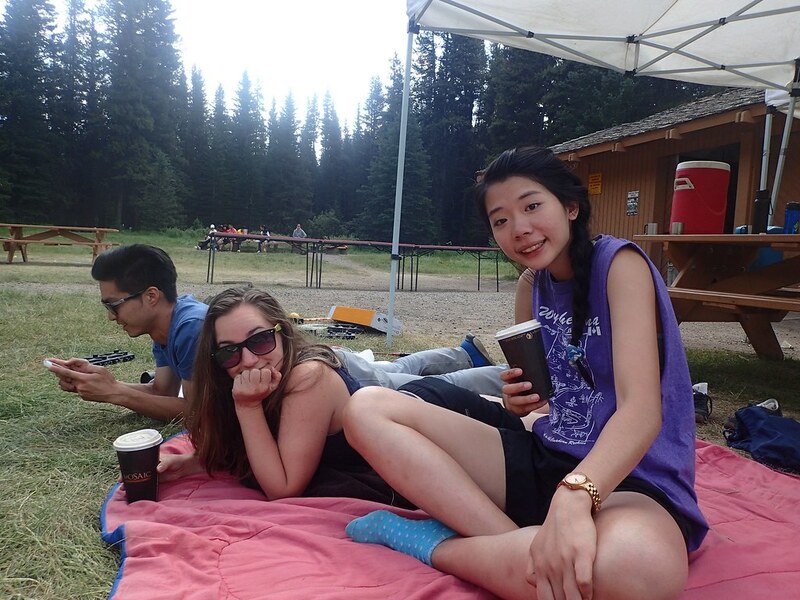 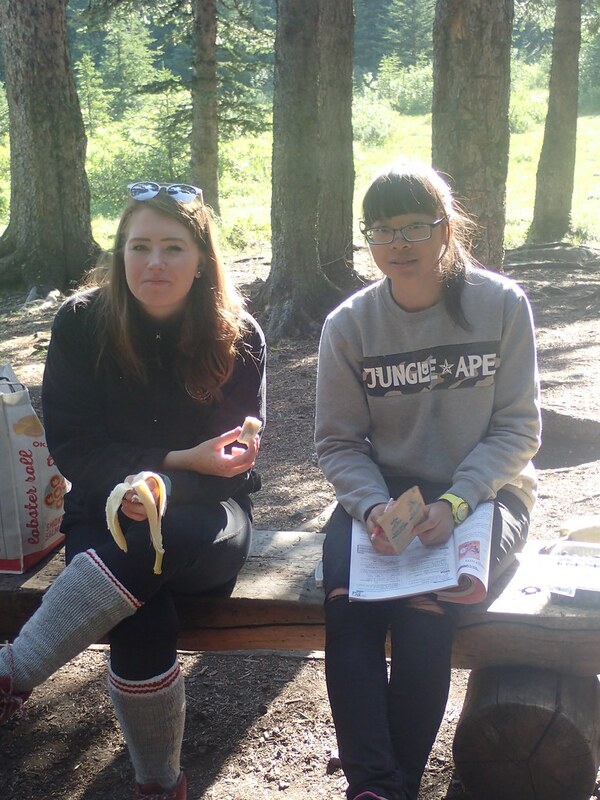 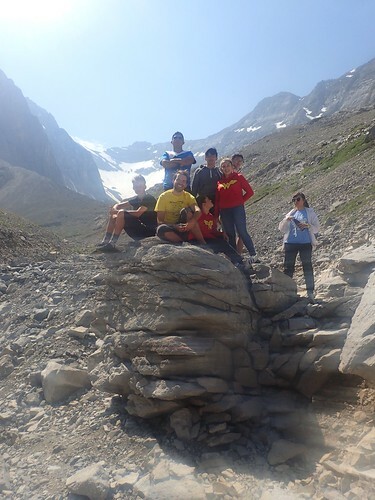 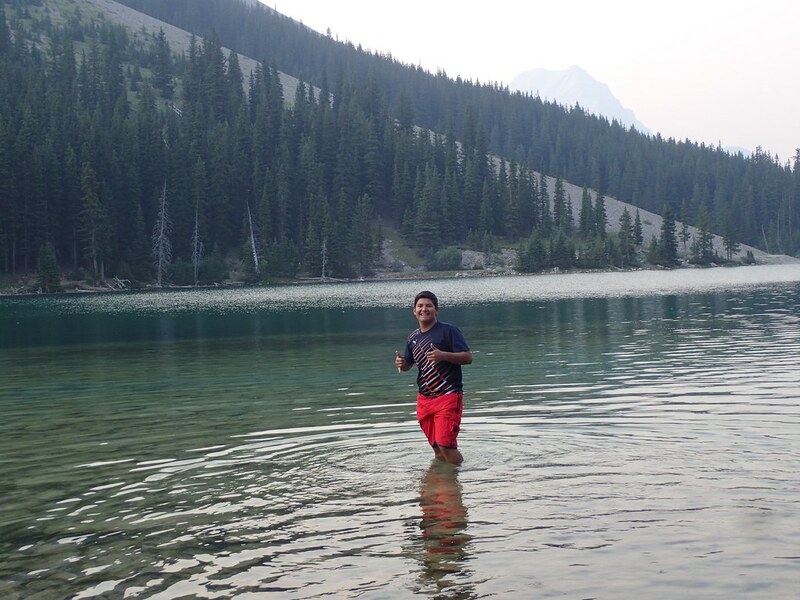 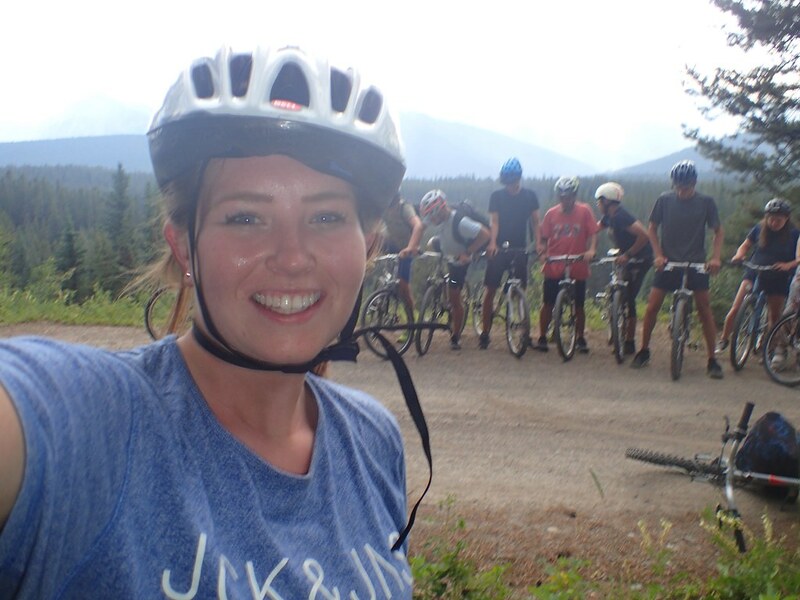 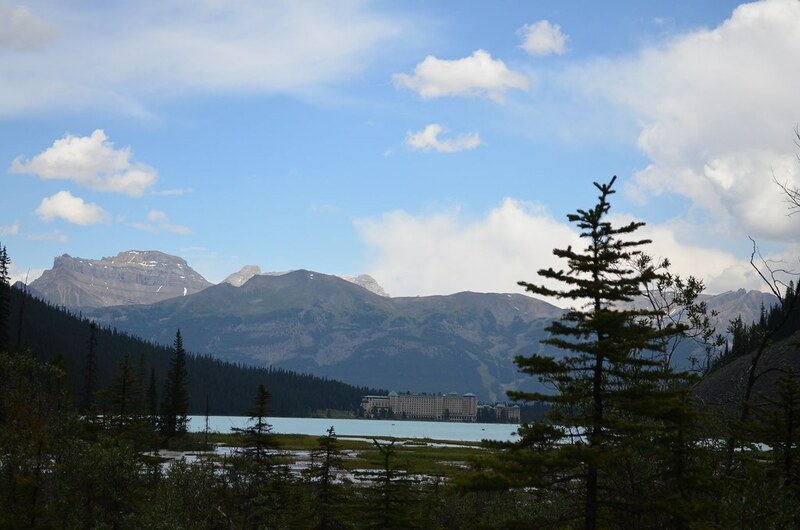 Camping was a great experience for all, we got to participate in multiple outdoor activities and see the beautiful landscape of Kananaskis Country. 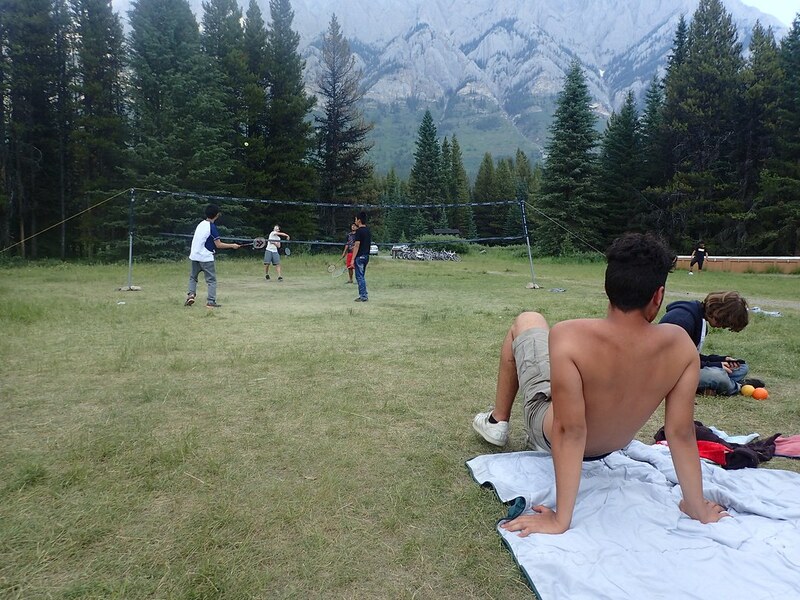 We spent our first day setting up our tents with our camping groups and the rest of the day was free time. 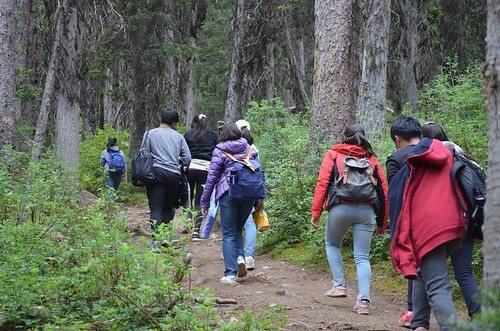 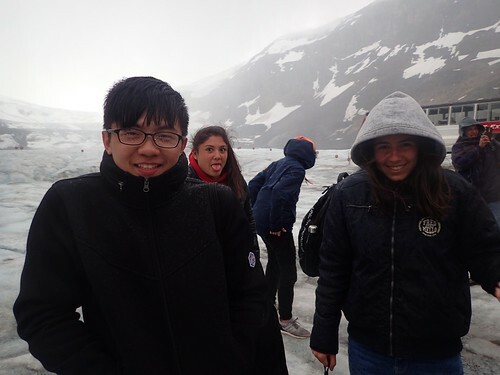 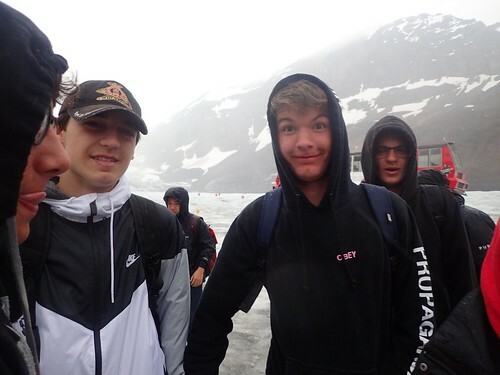 A lot of the students went exploring around the camp site. 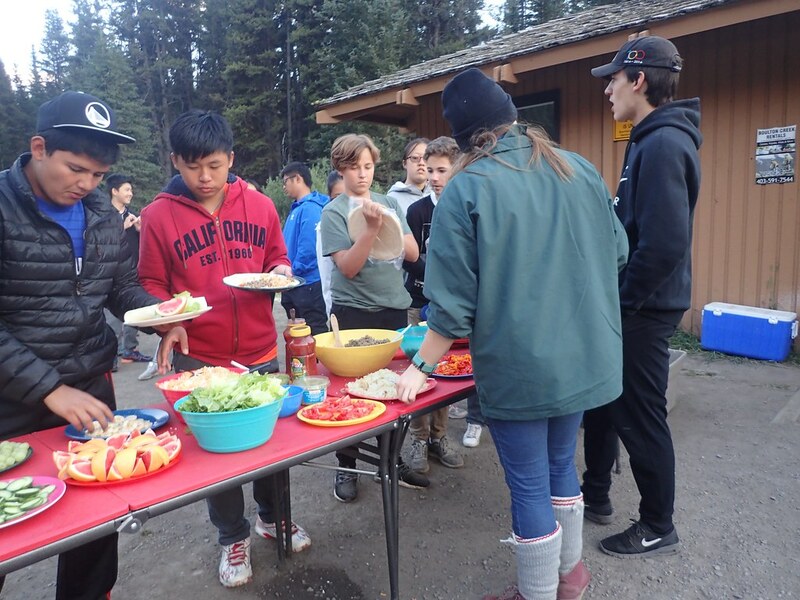 Relaxation and recreational activities like volleyball, swimming, football and soccer were all on the schedule for our second day out in the wilderness. 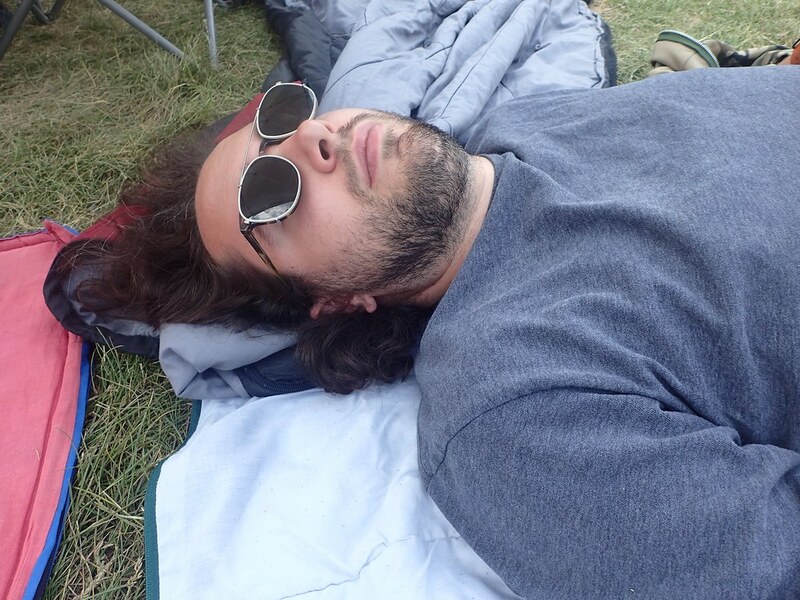 We all got to sleep in as well! 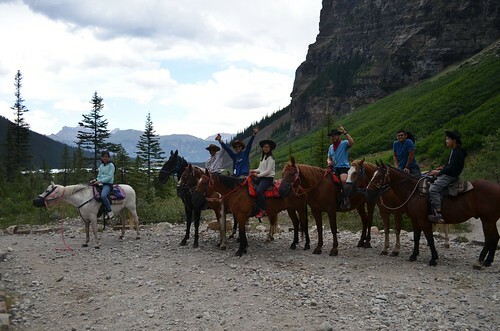 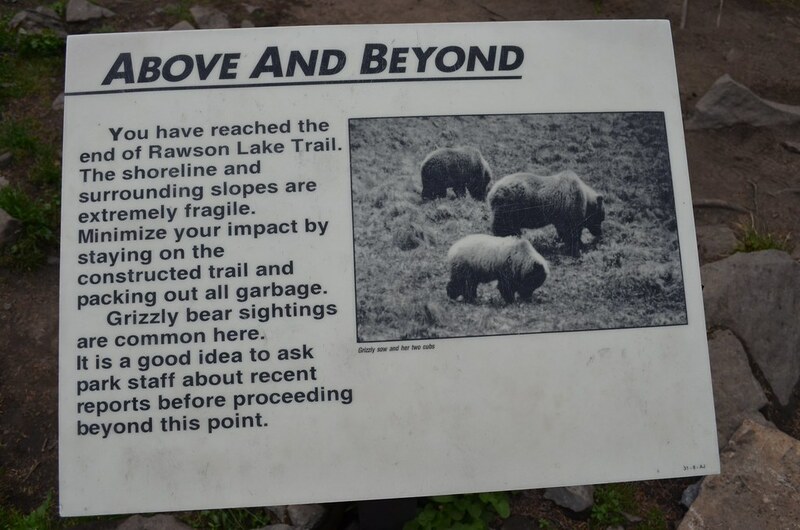 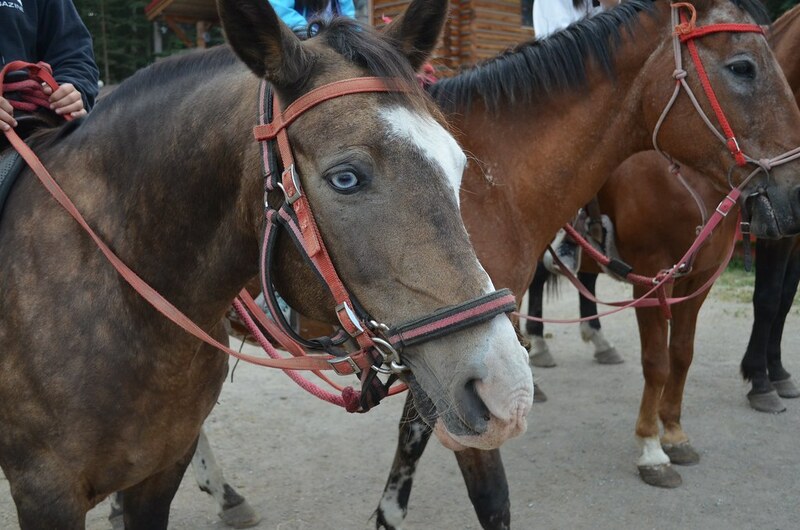 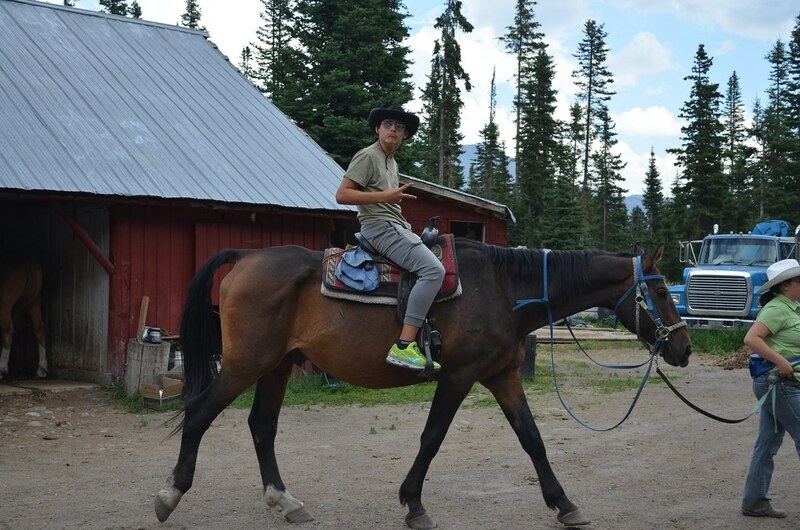 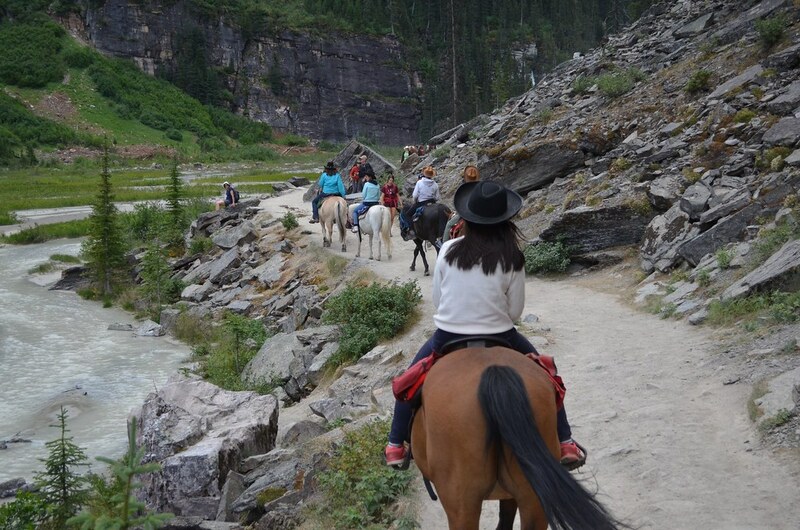 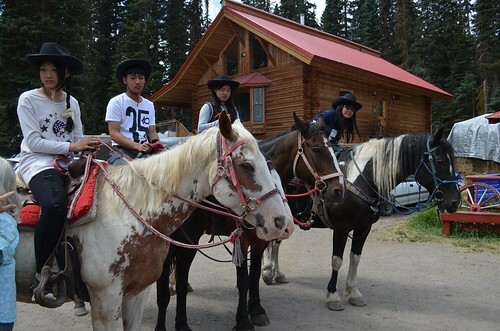 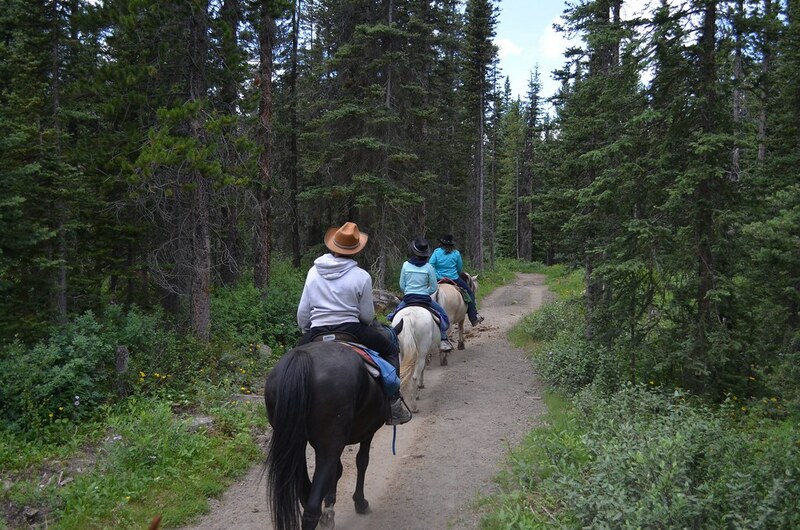 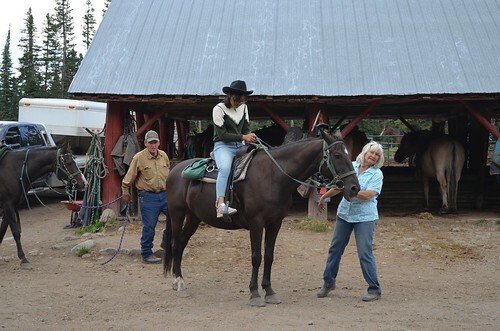 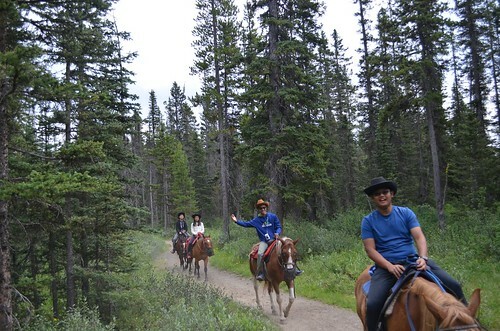 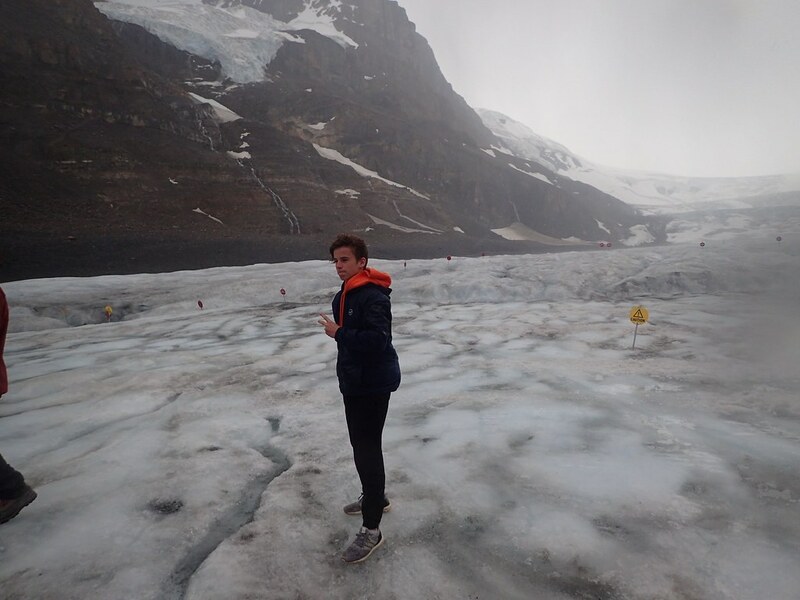 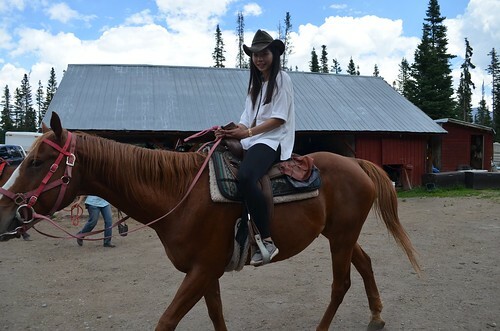 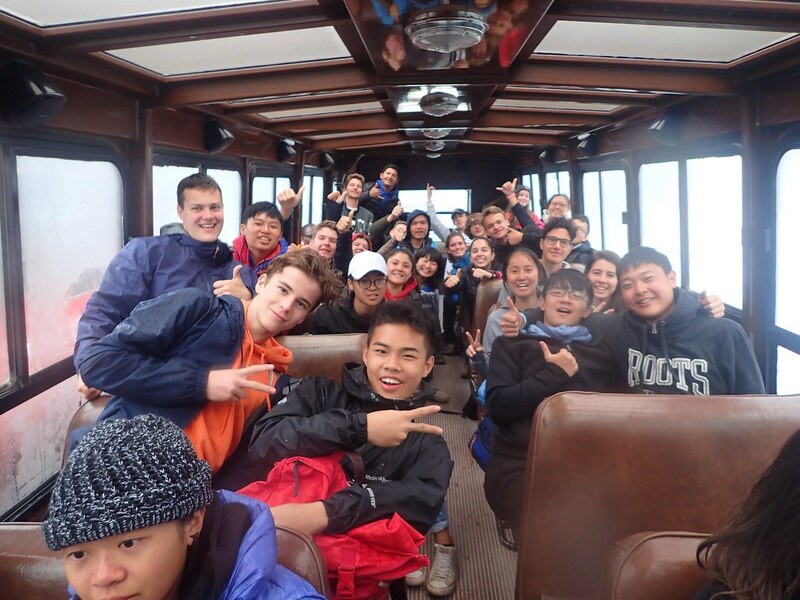 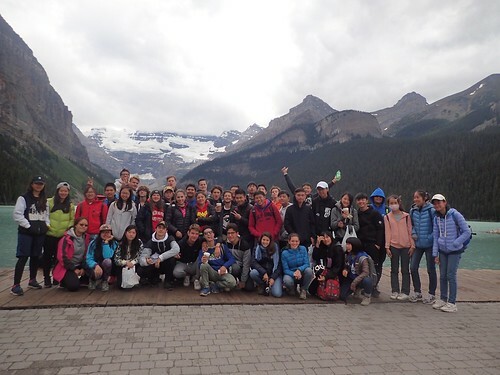 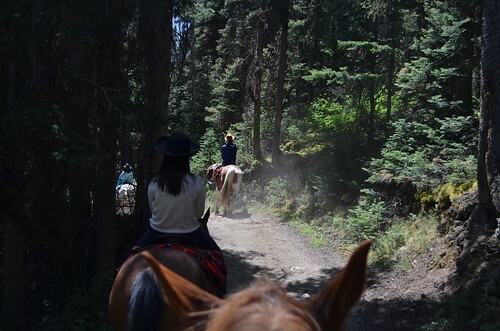 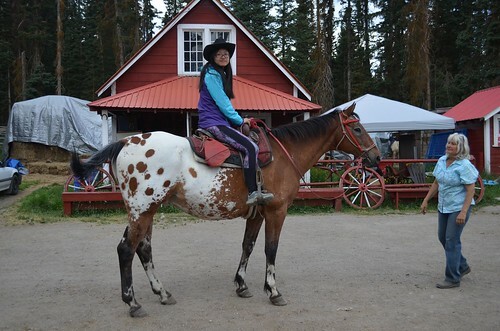 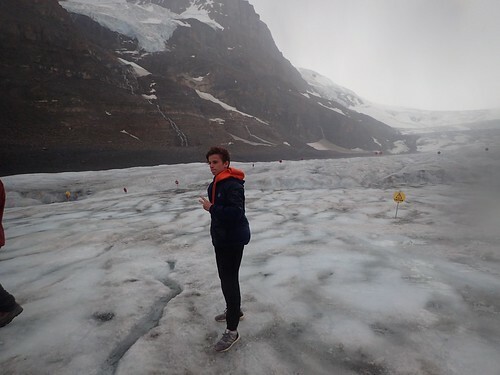 The remaining days were full of group activities such as: mountain biking, horseback riding in Lake Louise, a trip out to the ice-fields in Jasper, hiking around Rawson Lake and up to the surrounding mountains for a picnic lunch and also splashing around in the crystal clear river that ran through our camp site. 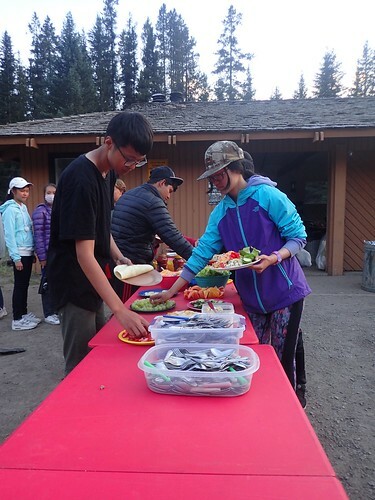 Each meal was made by a different camping group and the cleanup was done by another group; to ensure that all the students got a chance to be a chef and a cleaner. 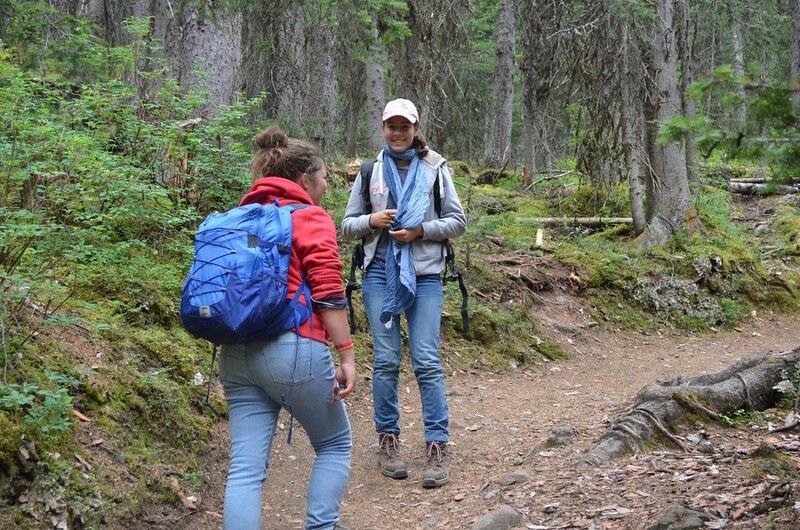 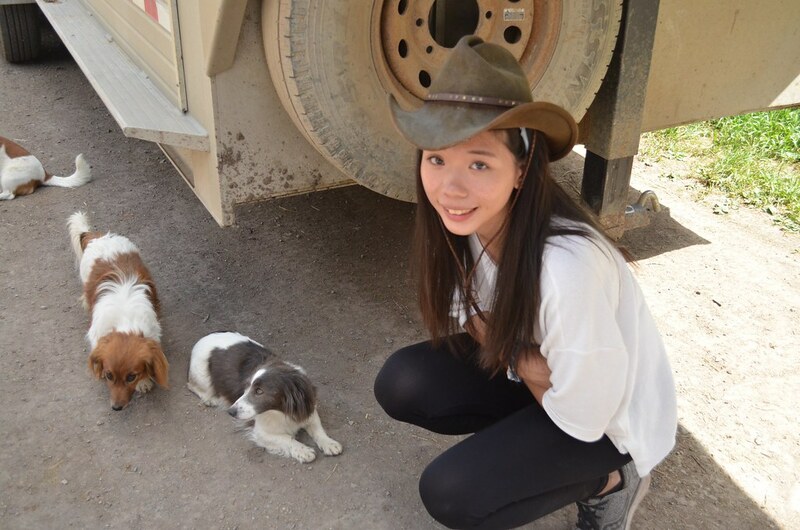 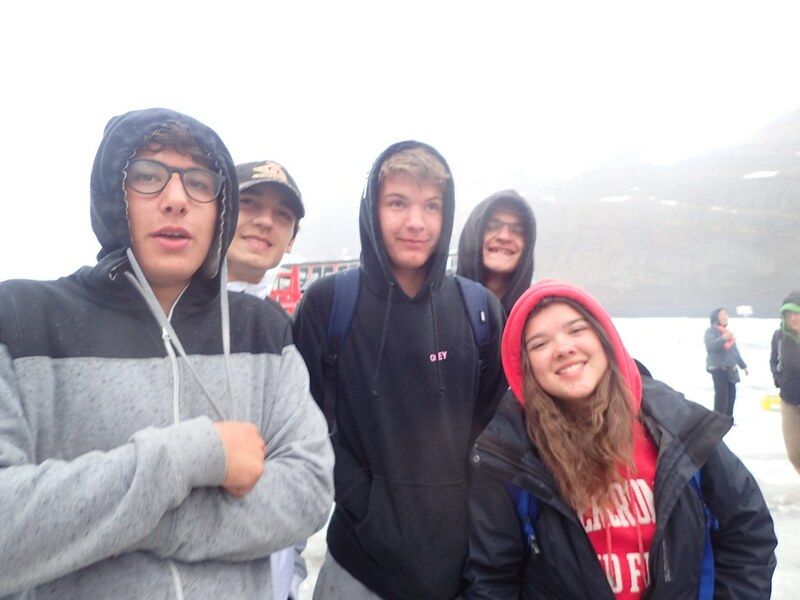 The teachers greatly appreciated the positive attitude of all the students throughout the whole camping trip. 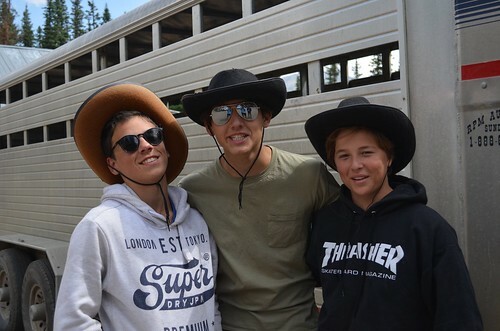 Their smiles and laughter made this trip one to remember! Splashing Snapping Turtles – July 26th, 2017 – Making New Friends! 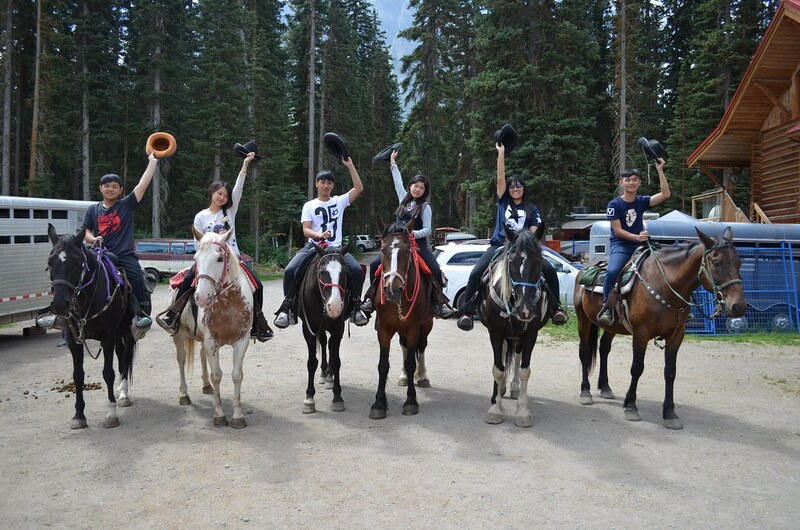 Galloping Western Mustangs – July 27th, 2017 – Shopping and Movies!